Screens can be used for a multitude of purposes from screening out the view of the neighbours to enclosing an air conditioner so that it is not visible. They are sometimes concreted into the ground and can vary in height. Sometimes they are attached to boundary walls or the main building and some contain gates and hinged or removable lids for access to air conditioners, pool pumps, koi pond pumps and so on. In fills are similar to screens but are normally installed between two brick columns on a boundary wall to create the effect of brick work and timber. Most often the slats are installed horizontally with a 20mm gap between boards. This allows you to still be able to see through but screens out the view of others on the outside. This gap can however be changed for different applications. Double sided screens are also available so that both the inside and outside look the same. To request a quote or for some advice please contact us on 031 – 762 1795 or use the form below to contact us. Wooden fencing can come in many different designs and they are limited only by ones imagination. All our timber is sourced from companies who adhere to renewable forestry practices. 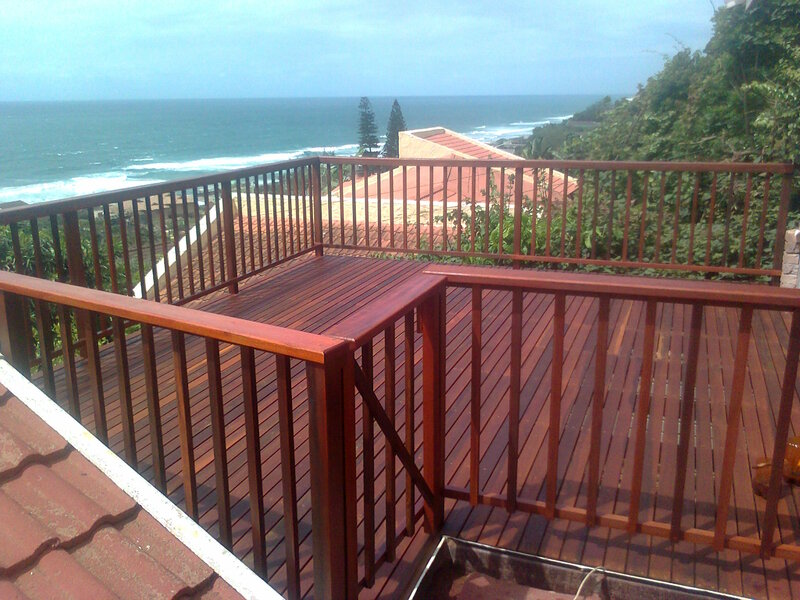 There are a few designs or types of wooden fencing that we install mentioned below. 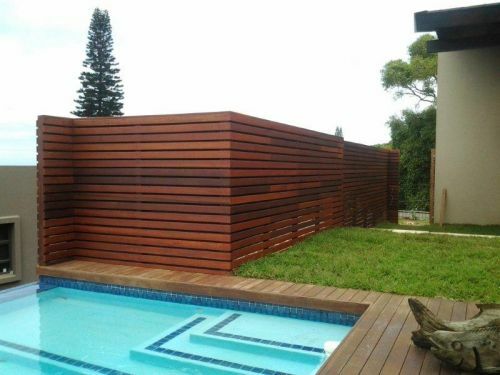 However we can custom design wooden fences for you using best building practices and aesthetically pleasing ideas. 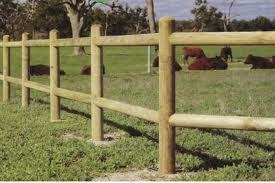 Post and Rail Fencing is quite common and often found in areas where horses are kept. It has become more popular in recent times in suburban areas where some sort of fence needs to be in place without obscuring the view. They don’t provide much boundary protection as they are not that high, and therefore are more popular where the fence doesn’t need to protect the boundary. They can be covered with weldmesh to provide more of a barrier. On their own they have large openings that people and small animals can climb through but they prevent larger animals from moving through such as horses. They are often installed in gardens of secure estates where the main purpose is not to keep people out. They come in various heights from 900mm to 1.8m. The posts and rails are normally all H4 CCA Treated so are able to live in the ground in constant contact with wet soil without rotting for up to 30 years. The best timber to use here is pine sourced from the Cape as they have fewer tendencies to split. Because the post or rail is machined from a single log, they are naturally more prone to splitting, but if sourced from the Cape, then the splitting is limited. 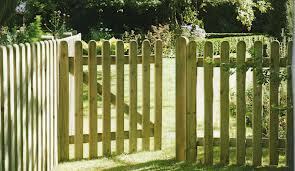 Picket fencing is a natural alternative to other materials that can be used to provide a barrier at boundaries of properties to keep both humans and small animals in or out. They can be installed as a solid fence (i.e. no gaps between pickets) or they can be installed with a slat’s width between pickets. 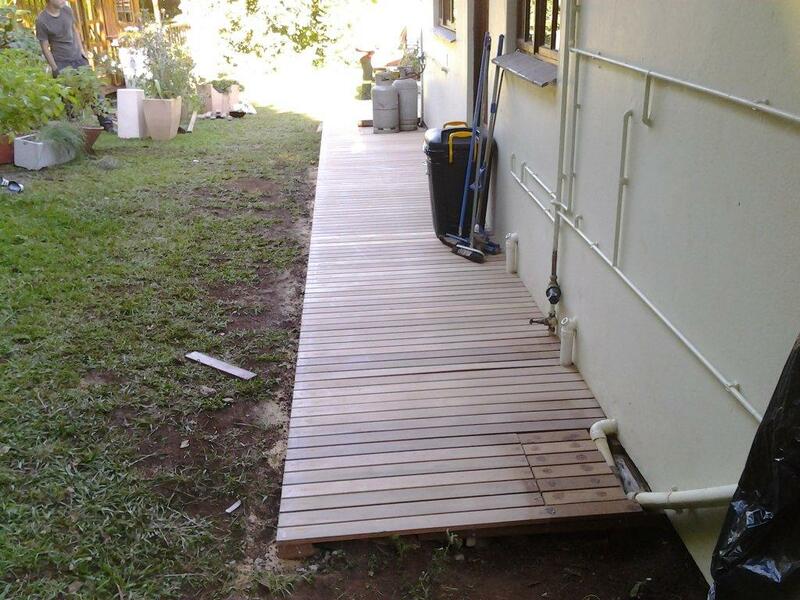 The pickets are normally 22mm x 72mm and are installed using gum poles set every 2m or so with rails on top and bottom to which the pickets are attached. The tops can be square or they can be shaped into sharp pickets. 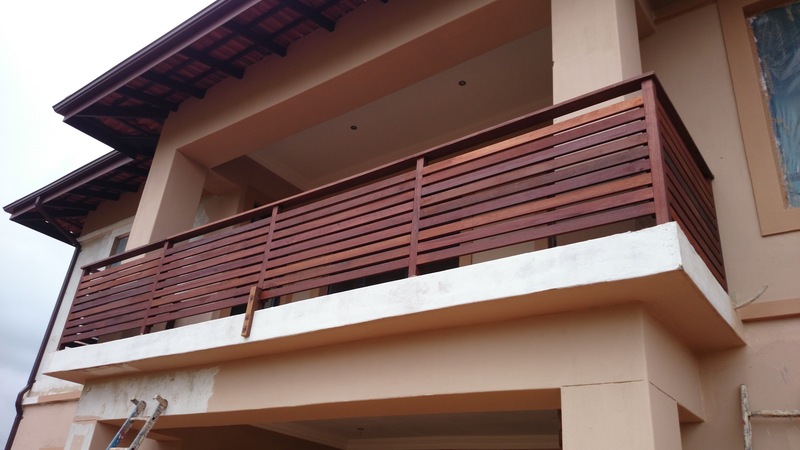 Again these wooden fences can vary in height limited only by the length of slats available. 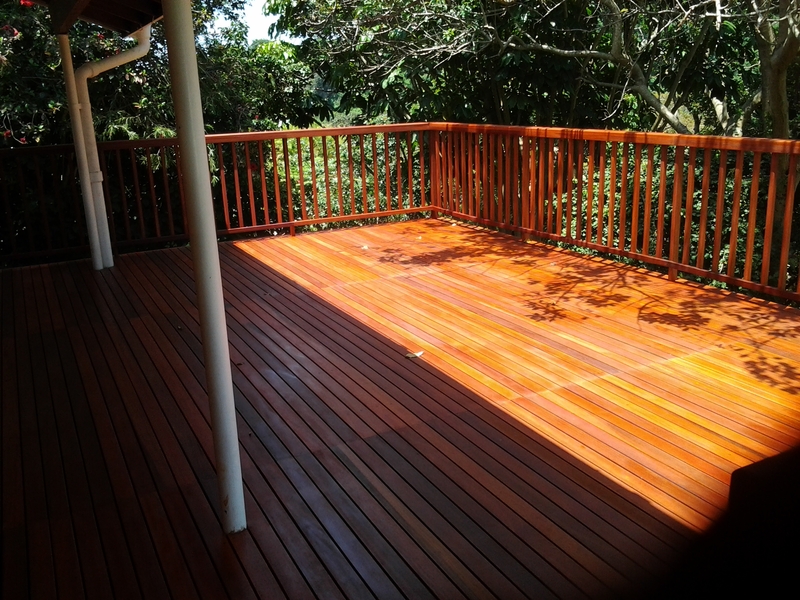 The gum poles are normally H4 CCA treated gum and the slats and rails are normally H3 CCA treated pine. Hence they can last for 30 to 50 years without rotting. This type of wooden fencing is similar to picket fencing in that it is installed using gum poles of H4 CCA Treated Gum, rails and pickets, or droppers. The main difference being of course that this fence is made entirely from round poles and not machined timber. All of it is gum so they are a bit stronger and the chance of a dropper splitting is less than the chance of a slat breaking. Again the tops of each dropper can be left square or they can be machined to spikes, thus providing some security for would be intruders and also varying the visual appeal of them. 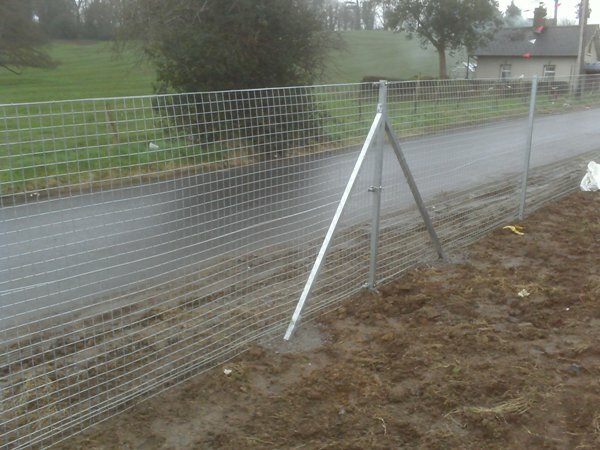 A weldmesh fence is one of the cheapest form of fencing. It is installed using gum poles and stays on either end with intermediate posts every 2m or so. The height can vary depending on your requirements. Straining wire is then pulled taut between the main posts and weldmesh is bound on to that. Various heights are available and various grades of weld mesh are available. The actual wire that the weld mesh is made from varies in gauge and the rectangles that this wire forms can vary in length and width. All poles used are H4 CCA treated gum poles. 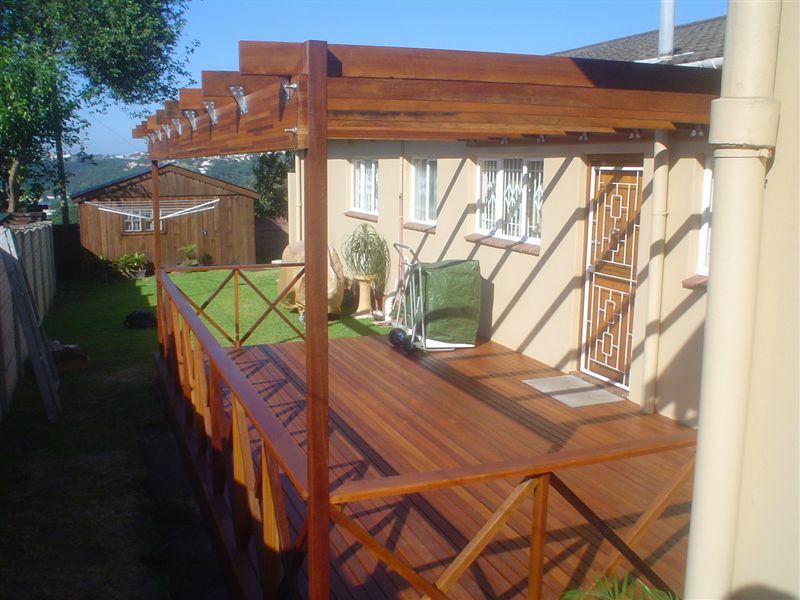 For a free no obligation quote on your wooden fencing requirements please give us a call on 031 – 762 1795 or use the contact us form below.